Dr. Stefanie Kreiger has wanted to be a veterinarian for as long as she can remember. She attended the University of Vermont and received a Bachelor of Science in Animal Science. She then attended Tufts University School of Veterinary Medicine and received her DVM in 1994. After graduation Dr. Kreiger was accepted to an internship at the Animal Medical Center in New York City, a world renowned referral hospital. After completing her internship she moved back to Connecticut and went into private practice. Dr. Kreiger is an active member of the American Veterinary Medical Association, Connecticut Veterinary Medical Association and the Fairfield County Veterinary Medical Association. Dr Kreiger has since pursued her dream to not only be a veterinarian but to own her own practice. She a lab named Duke. Dr. Shawn Rafferty graduated from Southern Connecticut State University with a Bachelor of Science in biology. After continuing her education at SCSU, she earned a Master of Science degree. Later, Dr. Rafferty attended Tuft's University where she received her D.V.M. degree in 1994. She then went into private practice and founded a mobile veterinary service - Veterinary House Call Services, LLC in Shelton. Dr. Rafferty has been an active member of the American Veterinary Medical Association, Connecticut Veterinary Medical Association, and the Fairfield County Veterinary Medical Association. Dr. Rafferty is co-owner of Shelton Veterinary Center. She loves her Toy Poodle, Maddie and her Shih Tzu, Shanelle. In her free time Dr. Rafferty enjoys classic car shows, horse racing and an occasional round of golf. Anita is a lifelong Connecticut resident, and began working with Dr. Rafferty in 1995 as a veterinary assistant. She currently “wears many hats” here at Shelton Veterinary Center: She is a Veterinary Assistant but often helps out with administrative duties at the front desk. She also keeps busy with her private pet lodging business. She has 2 wonderful dogs, Cassie and Stella. We are so pleased to have her as a member of our veterinary team. Eileen has enjoyed working with animals since she was sixteen. She received her Associate of Science degree in veterinary technology from Manor College in Jenkintown, PA. Shortly after, Eileen received her veterinary technician certification. In 2007, Eileen moved back to CT where she had grown up and obtained her Bachelor of Science degree from Southern CT State University. 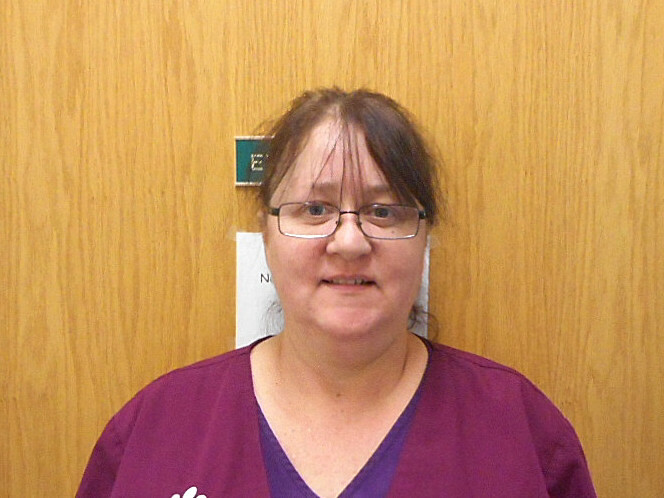 In 2010, Eileen joined the team as a veterinary technician. In her spare time she volunteers at the local shelters and occasionally takes in foster animals, though they usually end up staying with her permanently. She currently has a 2 dogs- Libby & Harley, and three cats, Reily and Captain Nemo & DJ. Leza came to us in 2016 to join our reception team. She has resided in Connecticut for over 20 years, most of that time she has worked in the veterinary field in some capacity. Leza has 3 awesome cats that fill up some of her time. The rest she dedicates to doing kitty sitting for people when they are away! Growing up Kaitlin always loved animals. She decided to pursue her passion and in 2013 she graduated from Mercy College with a BS in Veterinary Technology. Shortly after she earned her veterinary technician license. She is a devoted cat mom to her two cats, Darien & Lennon. In her spare time Kaitlin enjoys reading and listening to music. Jessica was born in Sao Paulo. Brazil. She first came to the USA 10 years ago. She has been surrounded by animals her entire life and knew at a very young age that working with them was her calling. Jess graduated with her Doctorate of Veterinary Medicine in Brazil back in 2011. She then moved to CT soon after, where she became an American Citizen. 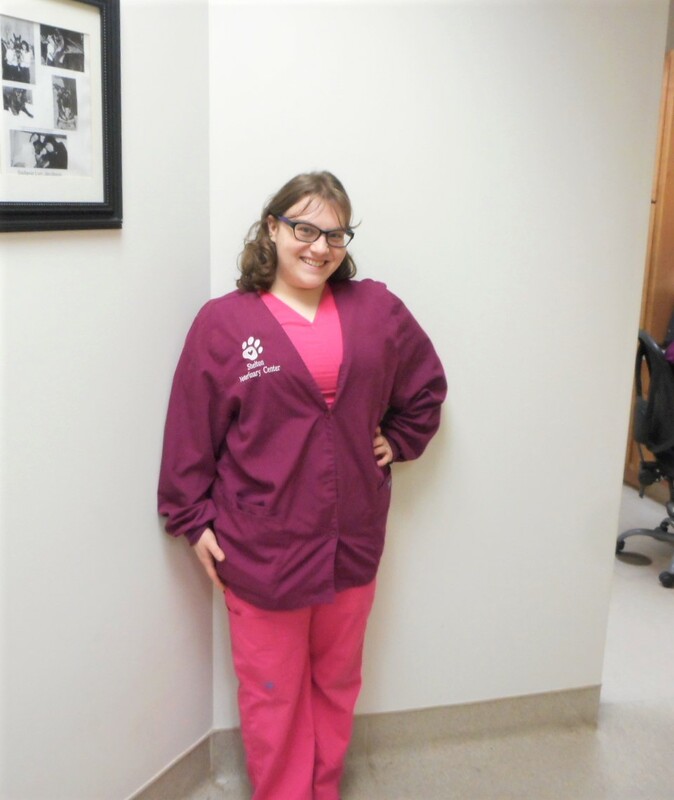 Jess works as a Veterinary Technician while pursuing her Veterinary License in CT and became part of the Shelton Veterinary Center team in June 2018.